Joseph and Judah: Purchase Volumes 1, 2 and 3 of "Dreams, Visions, and Near-Death Experiences Compared to the Prophecy of Isaiah"
Purchase Volumes 1, 2 and 3 of "Dreams, Visions, and Near-Death Experiences Compared to the Prophecy of Isaiah"
Just Released! The highly-anticipated 24-Week Lecture Series —“Dreams, Visions, and Near-Death Experiences Compared to the Prophecy of Isaiah” delivered in three volumes of eight lectures each. Each lecture is delivered by renowned Isaiah scholar, Avraham Gileadi PhD. 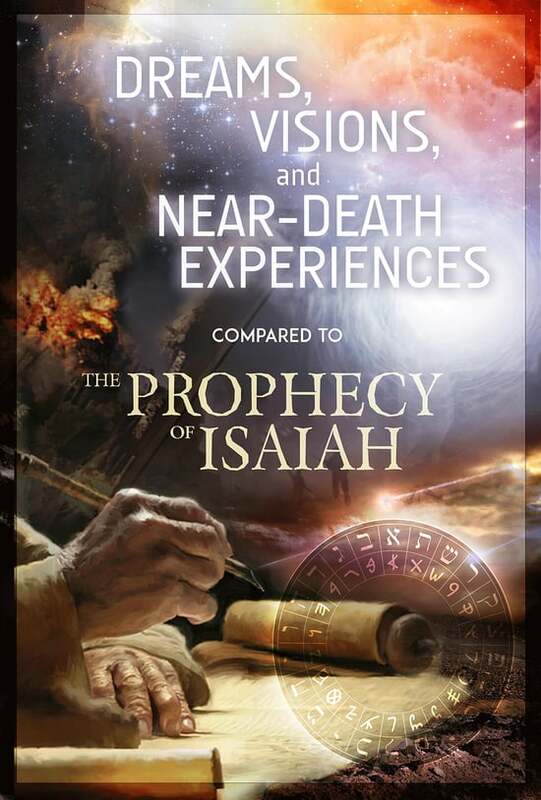 As the most published scholar on the Book of Isaiah in the world, Dr. Gileadi compares current documented dreams, visions and Near-Death Experiences (NDEs) with the end-time predictions of Isaiah. While a cleansing is imminent, there exists hope for a glorious millennial age. Many people are having visionary experiences that suggest Isaiah's prophecies are nearing fulfillment. Dr. Gileadi correlates these with events now happening in the world. These volumes address many concepts analyzed in Dr. Gileadi's books that appear on IsaiahExplained.com, IsaiahInstitute.com and JosephandJudah.com. Each volume of lectures is available as streaming (not downloadable) videos, and are viewable on your computer, iOS, Android, Apple TV, Roku, and Chromecast (details here). Click here to start streaming today!